Little Mix win Best British Single for Shout Out To My Ex at The BRIT Awards 2017! It's their first ever BRIT Award! Little Mix have won their first ever BRIT Award – picking up the Best British Single title for Shout Out To My Ex! The category is one of the toughest at the awards, pitting the biggest songs of the last year against one another! Other singles nominated included James Arthur’s Say You Won’t Let Go, Clean Bandit’s Rockabye and… err… ZAYN’s Pillowtalk! It’s a little awkward that the girls beat Perrie’s ex-boyfriend Zayn to the prize as the song is rumoured to have been written about him! 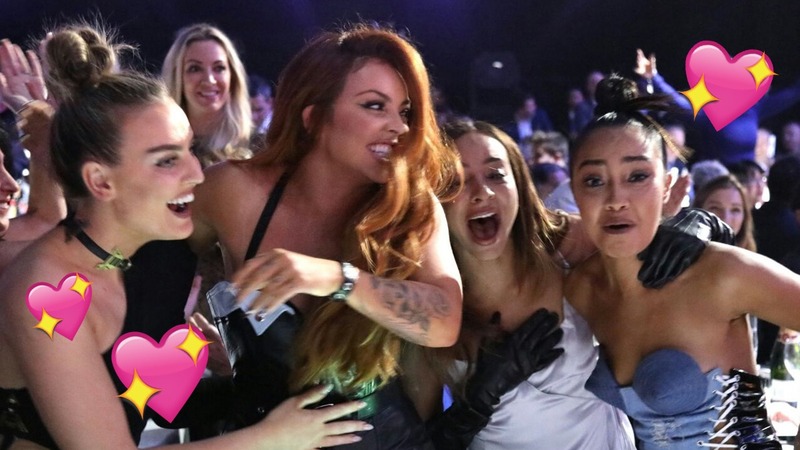 The girls were in complete shock when Holly Willoughby and Fearne Cotton announced them as the winners – Leigh-Anne even knocked her chair over! They were so surprised that they’d not checked how to get to the podium and so got slightly lost on the way to the stage! Jade and Leigh-Anne gave a short speech and thanked their family, managers and all the millions of Mixers! As well as winning the award for Shout Out To My Ex, Little Mix also opened the whole show with an incredible performance of the song! Jade, Jesy, Perrie and Leigh-Anne were carried into The O2 arena on thrones, just like Egyptian goddesses! Other winners on the night included One Direction and Emeli Sande and fans were treated to performances from the likes of Katy Perry and Ed Sheeran! Click here for a full list of winners!